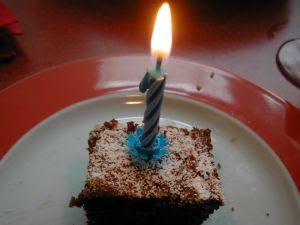 Happy birthday to the Colgems Blog, which celebrates its third birthday today! When I started this blog, I had no idea where it would take me and those who visited, but three years later, I am very pleased to say that the blog really has taken on a life of its own. At this point, all of the non-Monkees Colgems LPs have been made available through this blog, as have all the Colgems singles. Now the hardest part: to sustain the blog with the Monkees albums, the originals and not the remastered albums that have come out during the past few years. Thanks to you, those who visit the blog. I obviously cannot put up something every day, but keep on checking back--you never know what you will find here. P.S: I created this blog on this date so it would run side-by-side with my own birthday, which is on April 28. Happy birthday to both myself and the blog!